6 segments of 1/2" Loc-Line Modular Hose measures 5.5"
6 segments of 3/4" Loc-Line Modular Hose measures 6"
Glad to be able to purchase additional segements to better distribute the flow in my tank. Fits my loc-line pliers which make it a snap to put together! I really love how these snap together (with the special pliers-I don't think I'd ever get it together without them) and can be moved however I please. I wish they'd had these when I started in the hobby. I'll never go back to the old-style returns! Not all loc brands are equal. This is the real deal. If you have medium to weak hand strength buy the pliers. once you connect some pieces it can be difficult to undo andredo your lines. Listen, Loc-Line is great, loc-line is good. I have seen it in other applications outside of the hood. I've used it in machine shops and aquariums alike, buy this product before you cause my ammonia to spike. 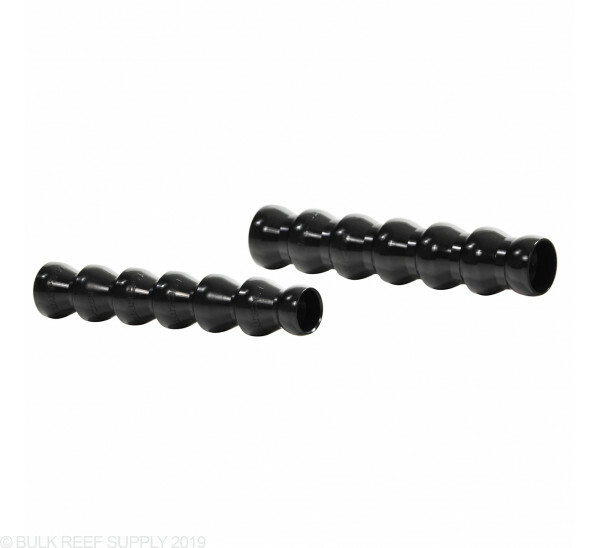 Used these to replace return nozzles on my 210 gal reef tank. Great quality and easy to install with Loc-Line pliers. This is a great product. It makes the outflow visually pleasing. Nice clean look and functional. Easy to use. All Loc-Line snaps together tight, so it's best to double-check before snapping to anything together. It's not easy to pull them apart without the pliers. I really don't know how someone would use anything different to achieve a multi-directional solution for their return, especially if they only have one return entering the tank. As big as 3/4" was, it didn't seem to be obtrusive or unsightly. I was using a rubber hose with a plastic grill to keep fish/snails/hermits from entering into my return line. Now that I have added the loc-line segments I am able to keep the end out of their reach. cool product. Make sure you get the tool because installing it by hand is TOUGH. Quality you expect from Loc-Line. Great. Do you sell blue colored Loc-line parts? We do not currently carry the blue color, only in black. Feel free to let us know if you have any further questions. Do the loc line segments connect together? can I connect two 6 inch sections to make one 12 inch run or do I need an adapter? I need a long run, at least 12 inches and like that you can bend these as needed. The Loc-Line sections can be connected to form any length you desire. For a 12" run you will need 13x 1/2" sections and 12x 3/4" sections. IS there a separate attachment needed to connect hose or pvc to this? The NPT x Loc-Line adapter is what you would use. Most folks use loc-line right out of the bulkhead so they just get a threaded bulkhead and use the NPT x Loc-Line adapter. 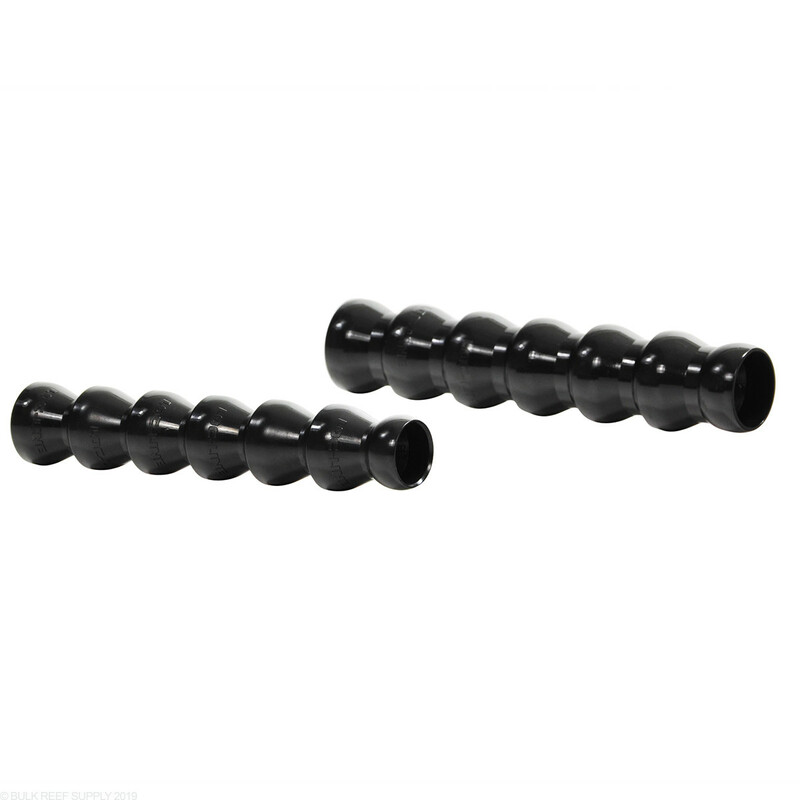 You could also go to PVC as well you would just need to glue a female pipe adapter onto the end of your pvc pipe. Will the 3/4" lock line fit the 3/4" sechduel 80 pvc pipe and bulkhead? The sizes will all be compatibly, though keep in mind you still need to use the locline x thread adapter to adapt a bulkhead or pipe to loc-line.